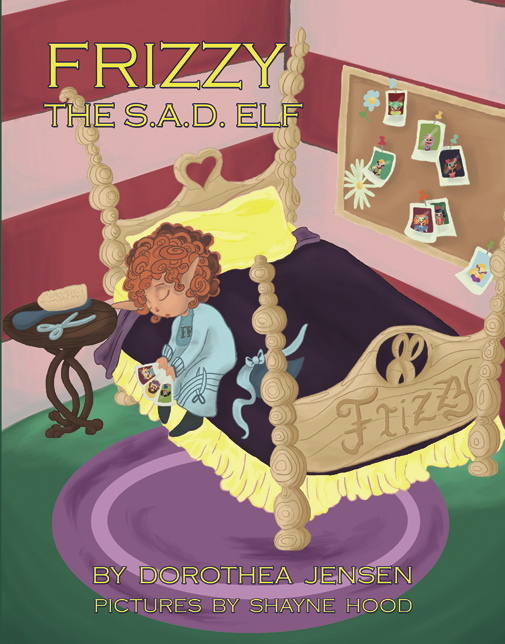 Book Review : Frizzy The S.A.D Elf by Dorothea Jenson! 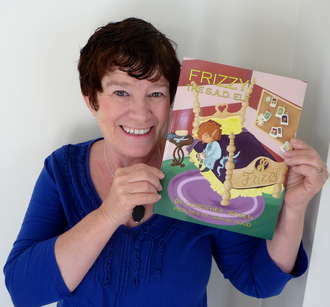 Today I am reviewing a Children’s picture book, titled Frizzy the S.A.D Elf by Dorothea Jenson. Let’s get to know the author a bit more. Santa’s Izzy Elves stories are not your usual picture books – older kids who enjoy playing with words and rhythmical verse will love them, too. 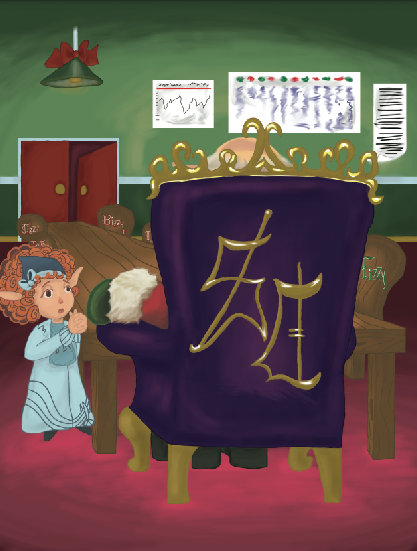 One reason for this is that although their stories are told in verse echoing the famous 19th century poem: A VISIT FROM SAINT NICHOLAS, Santa’s Izzy Elves are definitely 21st century, with electronics galore!FRIZZY, THE S.A.D. ELF is the fourth of these poetic tales. In this story, Frizzy, one of Santa’s Izzy Elves, styles the hair of Christmas dollies, but misses them dreadfully when Santa takes them away on Christmas Eve. (She suffers from S.A.D. : Seasonal Affection Distress.) Frizzy decides she needs to change her job so she doesn’t get so attached to the toys she works on. She starts making something completely different but soon finds that her plan isn’t going to work out exactly as she intended! The book cover shows Frizzy the elf, sitting with some pictures of her dolls in her hand and her head hung low characteristic of being sad!. It looks apt as the title itself calls Frizzy, a sad elf. We are introduced to Frizzy in the book, being upset that the dolls that she creates each year are taken away by Santa Claus (or S.C, as he is fondly called by all) to distribute to kids on Christmas. The problem was she was getting way too attached to her creations. She was suffering from S.A.D, which stands for Seasonal Affection Distress!. Finally she decides to try decorating things she thought she wouldn’t get attached to. But she has this need to ‘prettify’ everything and that makes her all the more sad. What I loved the most about this book is that the entire thing is written in rhymes!. Sometimes you read rhymes and end up thinking how familiar it sounds and how cliche certain rhyming word combinations are. However, in this book, the author keeps it real fresh and it’s a delight reading it. Also, the elves are so high tech!. They upload photos of the toys they make and children have the option to add it to their wishlist. What a novel idea!. Frizzy’s friends are all nice and supportive. S.C is so laid back and understanding. He solves Frizzy’s S.A.D syndrome and makes her happy. This is a very cute book that will capture the attention of little readers and make them fall in love with the rhymes. Every now and then there are some very beautiful illustrations by talented Shayne Hood, in the book. I give this adorable book 5 out of 5 which by Goodreads standards mean ‘it was amazing!’. Source : I was provided a complimentary ebook copy for review purpose. All opinions are 100% my own. ← Giveaway and Book Blast: Roxy Rogers by Emily Siskin-Toy!